Miluo River (mì luó jiāng 汨罗江), located in northeastern Hunan Province, is the largest tributary of the Xiang River (xiāng jiāng 湘江) in the North of Hunan province. Miluo River has a length of 253km overall and covers a drainage area of 5543 square kilometers. The water has two sides of the upper reaches: the east one is originated from Xiushui county (xiū shuǐ xiàn 修水县) of Jiangxi Province (jiāng xī shěng 江西省); the west comes from the Longzhang Mountain (lóng zhāng shān 龙璋山) in the northeast of Pingjiang county (píng jiāng xiàn 平江县), Hunan Province (hú nán shěng 湖南省). The two tributaries converge at the west of Pingjiang county and continually westward till the Miluo City (mì luó shì 汨罗市) and finally empties into the Dongting Lake (dòng tíng hú 洞庭湖). 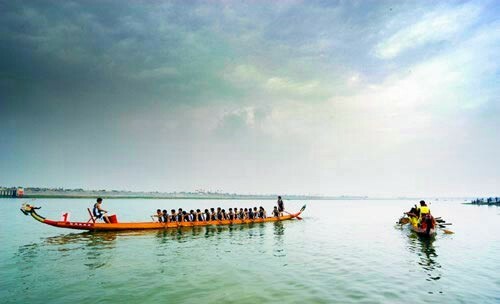 The Dongting Lake (dòng tíng hú 洞庭湖) in Yueyang is the relic of the ancient Yunmeng Pool (yún mèng zé 云梦泽), it is very vast and was known as the “eight- hundred Li Dong Ting Lake” since ancient times. 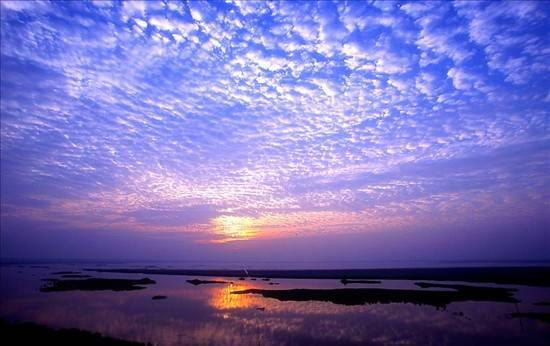 Although its size has been smaller than ever before, twice, Dongting Lake is still the second largest freshwater lake in China. 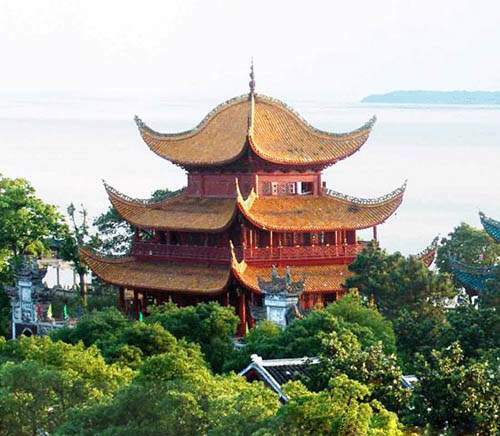 Yueyang Tower (yuè yáng lóu 岳阳楼), also known as Yueyanglou throughout China, domineers over the west gate of the city-wall tower in Yueyang (yuè yáng 岳阳), Hunan Province, borders on the shore of Lake Dongting (dòng tíng hú 洞庭湖). It has an excellent reputation known as "the Grand Yueyanglou Pavilion" (yuè yáng tiān xià lóu 岳阳天下楼) for its magnificent vigour as well as the majestic structure, and it is also praised as one of the Three Great Towers of the south of China (jiāng nán sān dà míng lóu 江南三大名楼), alongside with the Pavilion of Prince Teng (téng wáng gé 滕王阁) and Yellow Crane Tower (huáng hè lóu 黄鹤楼). Shaoshan City (sháo shān shì 韶山市) is located at the hilly land in central Hunan Province (hú nán shěng 湖南省), neighboring upon the Chansha (cháng shā 长沙) – Zhuzhou (zhū zhōu 株洲) - Xiangtan (xiāng tán 湘潭) City Cluster. It enjoys excellent natural ecological environment. The subtropical monsoon moist climate with distinctinve four seasons and fresh air gives Shaoshan a good name of Natural Oxyen Bar (tiān rán yǎng bā 天然氧吧). It has 210 km2 land and 100,000 populations. 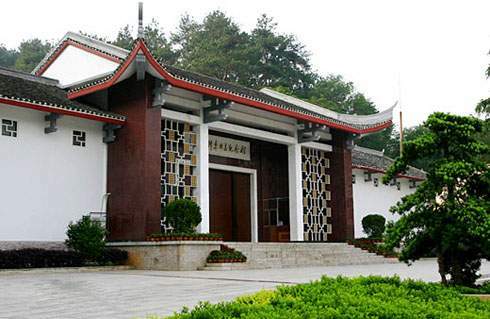 Shaoshan City has been listed into the National Scenic and Historic Interest Area since 1994 and one of China’s first authorized “Excellent Tourism Cities”. 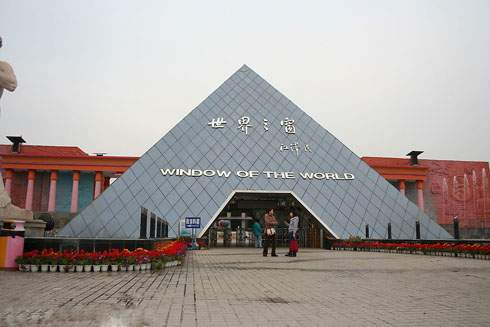 Window of the World (shì jiè zhī chuāng 世界之窗) is located on the bank of Liuyang River (liú yáng hé 浏阳河), in the northeast suburb of Changsha (cháng shā 长沙), covering an area of 400 thousand square meters, with a total investment of 360 million yuan. It is the biggest cultural theme park in middle China.